NASHVILLE, Tenn., Aug. 10, 2015 -- Ridgerock Entertainment Group and P23 Entertainment Inc. announce the January 8, 2016 theatrical release of THE MASKED SAINT through Freestyle Releasing. 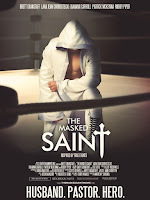 A family-friendly action film inspired by true events, THE MASKED SAINT is the first of many faith-based films that will be produced by Ridgerock Entertainment Group's newly formed "Ridgerock Faith" division. "We are extremely excited to be releasing THE MASKED SAINT through Ridgerock Faith," said Gary Granstaff, vice president at Ridgerock Entertainment Group and an executive producer on the film. "This film has something everyone can enjoy. It's an action-packed movie, but it also has a very heartfelt and compelling storyline with some incredible performances. We think audiences are going to love it!" 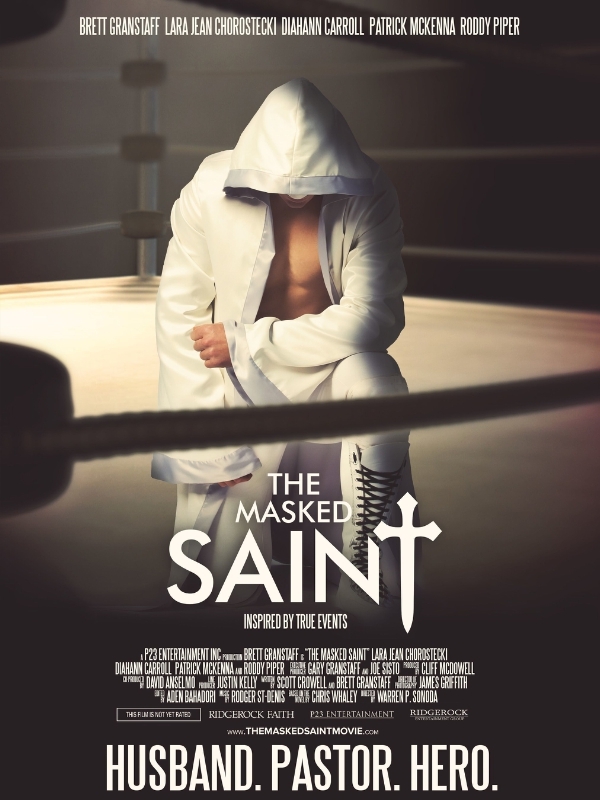 Starring Brett Granstaff (Vice) as Christopher 'The Saint' Samuels, THE MASKED SAINT follows the journey of former professional wrestler, Chris Samuels (Granstaff) who retires from the ring to settle down as a small town pastor. When Samuels witnesses rampant problems in the community, he decides to moonlight as a masked vigilante fighting the injustice. While facing crises at home and at the church, Samuels must evade the police and somehow reconcile his secret, violent identity with his calling as a pastor. Inspired by the life of Pastor Chris Whaley, THE MASKED SAINT is based on the book of the same name by Whaley. "We are excited about working with the filmmakers of THE MASKED SAINT and the marketing team they have put together," said Mark Borde, co-president of Freestyle Releasing. "A true story fueled by courage and perseverance, we hope moviegoers will be inspired and encouraged." Winner for Best Picture at the 2015 International Christian Film Festival, THE MASKED SAINT is written by Scott Crowell and Brett Granstaff, directed by Warren P. Sonoda, produced by Cliff McDowell, co-produced by David Anselmo and executive produced by Gary Granstaff and Joe Sisto. The movie also stars Lara Jean Chorostecki (Hannibal), Oscar and Emmy nominee Diahann Carroll ("Grey's Anatomy," White Collar) who won a Golden Globe for her performance in "Julia," Patrick McKenna ("The Red Green Show"), James Preston Rogers (Pixels) and the late WWE Hall of Famer Roddy Piper in his last confirmed theatrical release. "Everyone at Ridgerock Entertainment Group is devastated by the news of the recent passing of wrestling legend and THE MASKED SAINT actor Roddy Piper," said Gary Granstaff. "We send our deepest and heartfelt condolences, thoughts and prayers to his family, friends and fans. He will truly be missed."